This exemption is only available if the property is not let out during any part of the year minus any benefit derived from it . If the assessee has more than 1 house which is self occupied, then he can choose only one such house to claim this exemption. 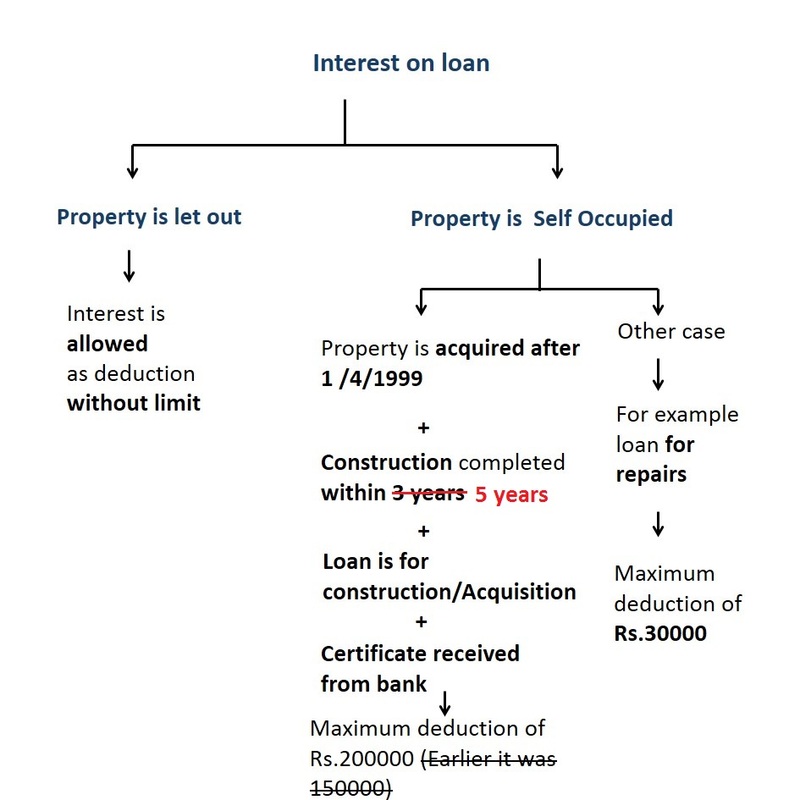 The assesse can also claim deduction of interest on housing loan of Rs.30000 / 200000 as explained below . Suppose in Q1,Housing loan taken was 2000000 at 12% p.a.